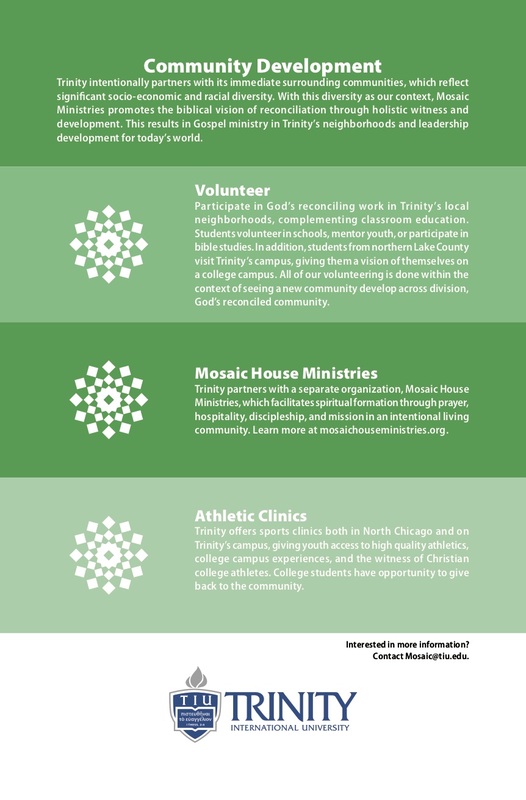 Through the Mosaic Initiative (2017-2021), Mosaic Ministries of Trinity Evangelical Divinity School (TEDS) serves as an innovation hub to twelve partnering congregations in northern Lake County, Illinois. 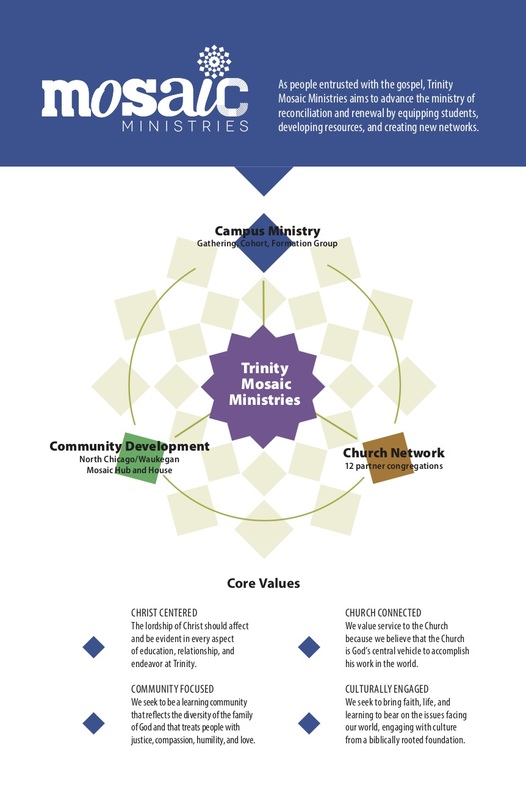 Through prayer meetings, learning gatherings, and deepening relationships with one another, each congregation will design and launch innovative ministries for and with young adults in their congregations and community. As the result of this initiative, our hope is that each partnering congregation will establish a new space in their congregational life that will not only nourish young adults but will also empower them to help shape the congregation’s culture and missional impact in the community. We regularly pray for and work toward the transformation of (1) individual lives of young adults, (2) our congregations, and (3) our community.